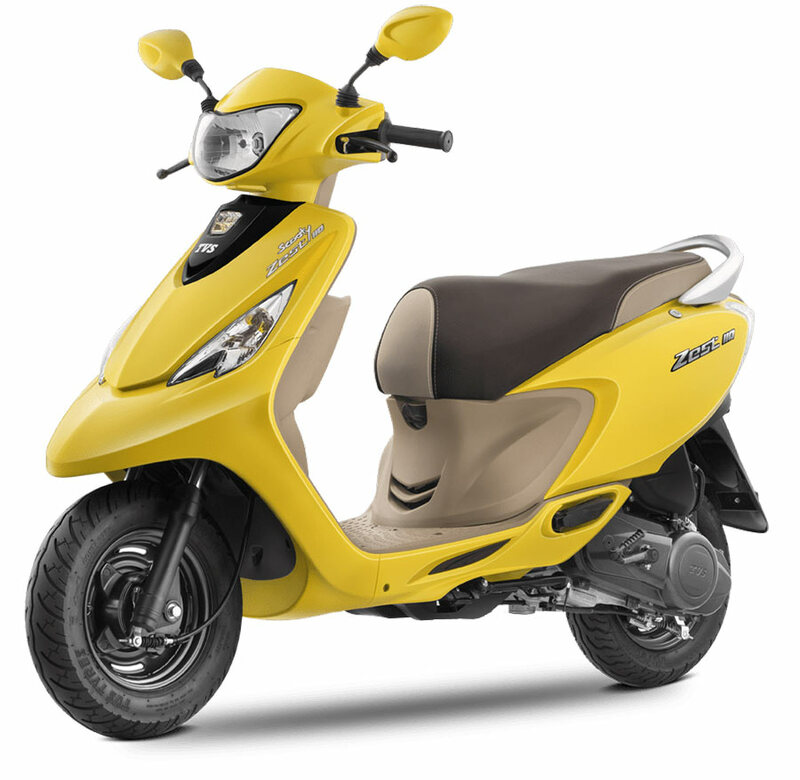 We recently reviewed TVS Scooty Zest 110 scooter and we thought it will be a good idea to list all the available colors at one place. 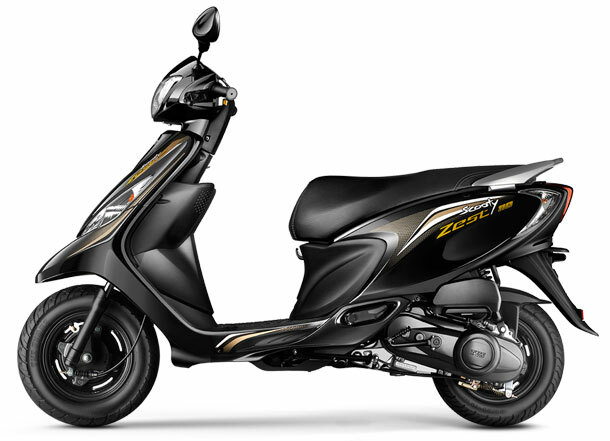 The company recently launched the Zest 110 in Matte colors – Yellow, Black, Red and Blue. Along with the matte colors, even the older colors that are present in the Himalayan High series have also been retained. With this, the customer gets to choose among 10 different TVS Scooty Zest 110 colors ( 4 matte and 6 Himalayan High) . The all new BS4 powered TVS Zest 110 is offered in Matte Blue color variant. Following is the picture of Zest 110 in Matte Blue color (check above). Check out the all new Scooty Zest 110 in Turquoise blue color ( Terrific Turquoise Blue ). 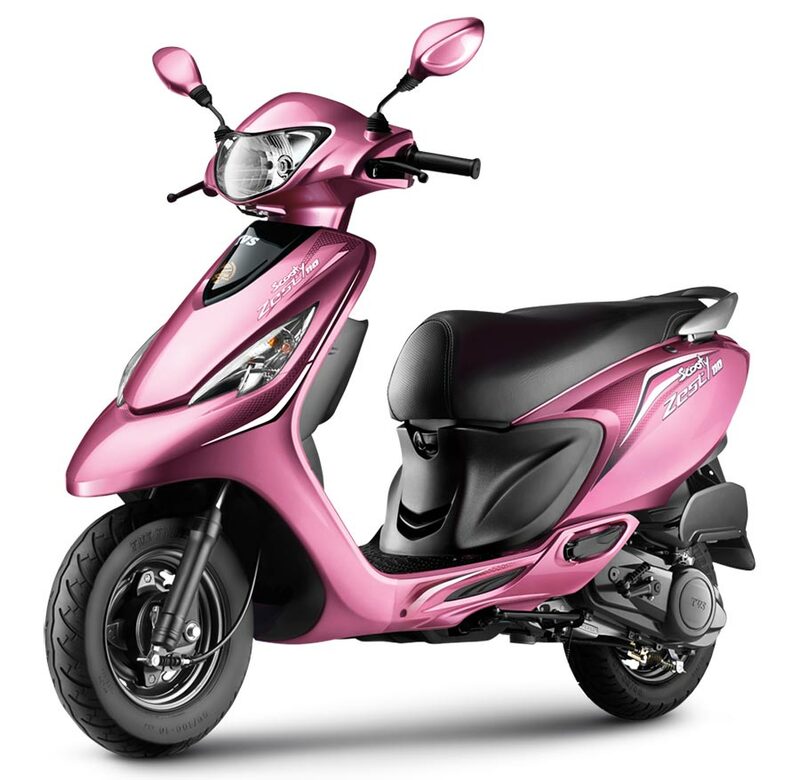 This Zest 110 color variant is available in Himalayan High series only. 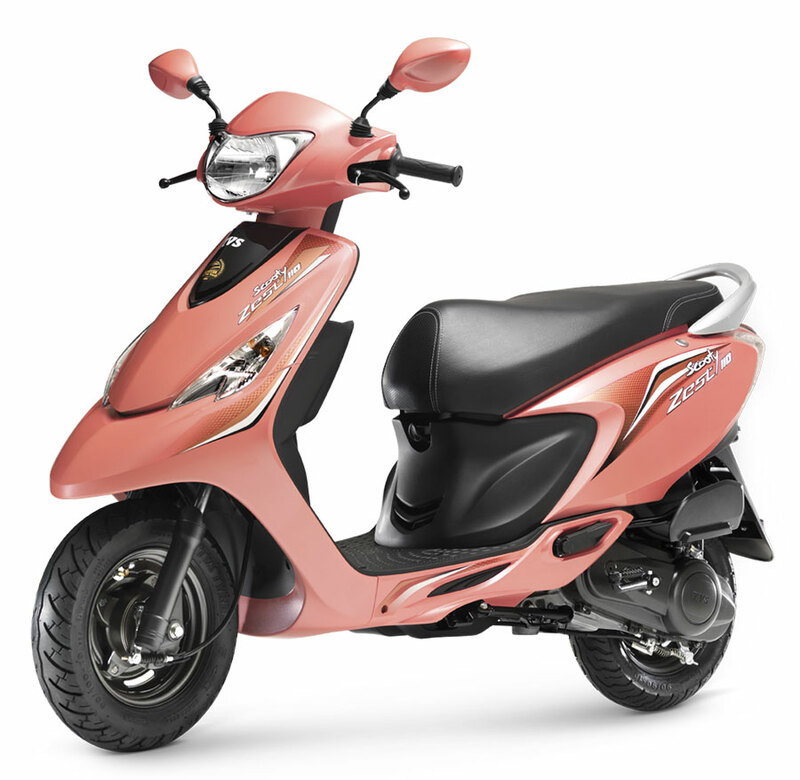 Under Himalayan High series, TVS Scooty Zest 110 is offered in Citrus Orange color. 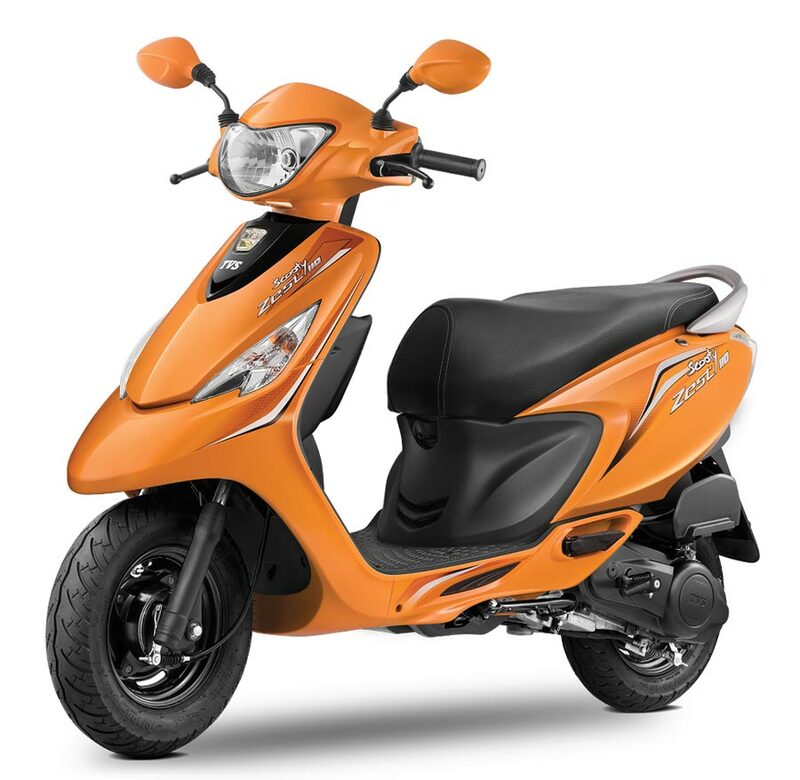 Check out the photo of Zest 100 Scooty in orange color ( citrus orange). 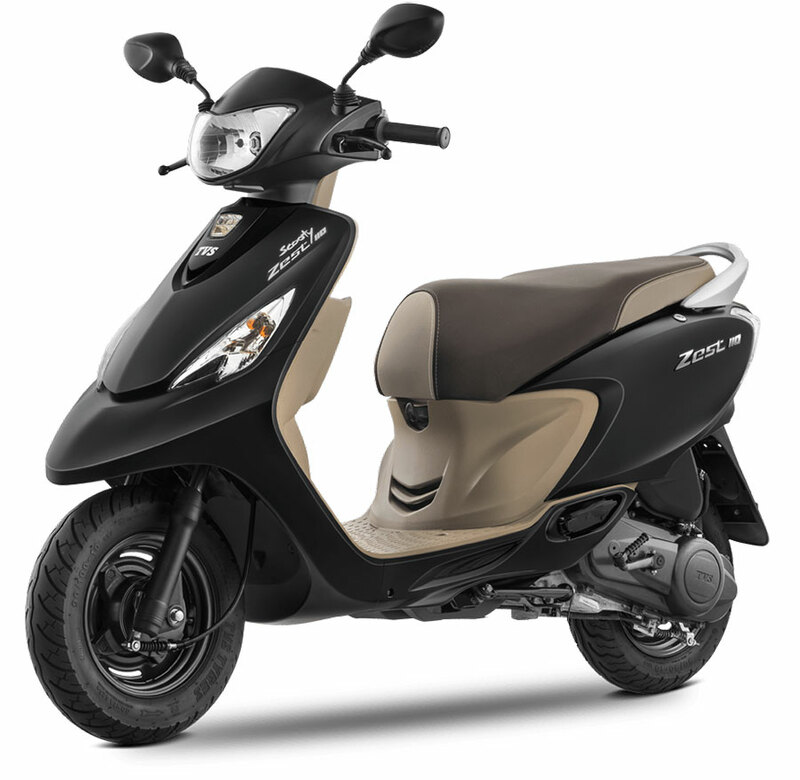 Scooty Zest 110 is a 110cc automatic scooter by TVS. 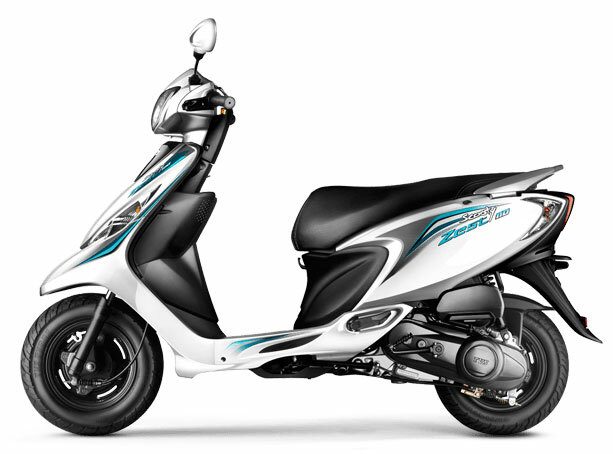 Powered by 110cc SI engine, the scooter is good enough to deliver maximum power of 5.88kW @ 7500 rpm and torque of 8.4 Nm @ 5500 rpm. The Zest 110 weighs just 97 Kgs and has a seat height of 760mm. The all new 2017 Scooty Zest is priced at INR 49,071/- for the Himalayan High range and INR 49,995/ for the Matte series. Which TVS Scooty Zest color would you be choosing? Let us know by commenting below.